June 6, 1944. In the gray light of dawn the landing craft carrying the assault wave of two US divisions as well as the Engineers and the Rangers, advanced toward the beach that was their assigned objective, code-named Omaha. Unfortunately, due to sales rights restrictions, we cannot offer Omaha Beach for sale in your country. June 6, 1944. In the gray light of dawn the landing craft carrying the assault wave of two US divisions as well as the Engineers and the Rangers, advanced toward the beach that was their assigned objective, code-named Omaha. Exhausted by the crossing and suffering from sea sicknesses, the assault units were convinced, however, that the German defenses had been crushed by the aerial and naval bombardment. In fact, sheltering in their coastal fortifications which they had been working to improve up until the very evening before, the Germany infantry waited until the Americans reached the shoreline before opening fire. 0630 hours. The landing craft of the first wave beached and lowered their ramps. 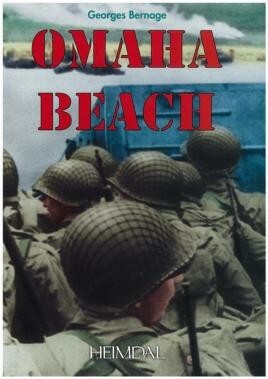 That was the moment the enemy had been waiting for, and on the beach soon called Bloody Omaha, all hell broke loose. This volume brings to life that page of history. The first part introduces the forces on both sides, presents the American plan and explains in detail the German defensive positions. The second part details the landing of the successive waves followed by a blow-by-blow account of the GIs on the beach under a hail of fire in the middle of the anti-invasion obstacles. Overall, it explores through words and images all the violence and horror of the fighting on Omaha Beach.